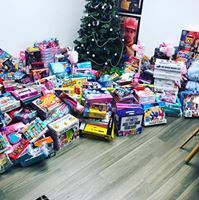 Our annual toy appeal was a massive success! A huge thankyou to everyone who donated! We managed to fill a long wheel base van with presents for children in need in our local area! Something we are all hugely proud of!